The penultimate stop of the PokerStars European Poker Tour is currently taking place in San Remo, Italy. The Italian Riviera plays home away from home to hundreds of players who flock to the Casino San Remo each year since the stop’s beginning in season 4. This season, a total amount of 438 players made their entrance on day 1A including names such as recent Irish Open side-event winner Casey Kastle, PCA champ Galen Hall, Nicolas Levi, and season 5 winner Constant Rijkenberg, who is technically defending his title as he did not play last season when Liv Boeree wiped the field and took the title. Ramzi Jelassi had a day filled with more ups than downs and did enough in the end to put himself in the top 10 by close of play. 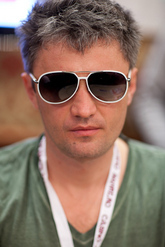 The player leading the way however is Russian Leonid Bilokur who has 187,900 in chips and is king of the surviving 211 players. Viktor “Isildur1” Blom is already looking ahead to the next event as are fellow Team PokerStars pros Arnaud Mattern, JP Kelly, and Henrique Pinho. They were put on the other side of the rail throughout the day alongside familiar faces such as serial qualifier Pierre Neuville and EPT London winner Aaron Gustavson. Check out the live feed for all the EPT action as it happens or catch tomorrow’s recap here at CardPlayer.com to find out who will oppose Bilokur for the chip lead. All photographs courtesy of Neil Stoddart and PokerStars. Tags: Leonid Bilokur, Ramzi Jelassi, Constantin Rijkenberg, Nicolas Levi, Aaron Gustavson, European Poker Tour, San Remo, EPT.